Cam Atkinson scored twice Saturday, including a short-handed goal in the second period that held up as the decider, as the Columbus Blue Jackets finally solved the visiting Pittsburgh Penguins 4-1 to enhance their chances of making the playoffs. Pittsburgh had won nine straight games against Columbus. Boone Jenner and Oliver Bjorkstrand also scored for the Blue Jackets, who had lost three of their previous four games. 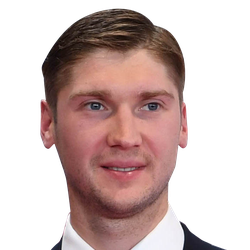 Goaltender Sergei Bobrovsky, who somewhat curiously was a healthy scratch Thursday at Pittsburgh in the first half of the home-and-home set, made 28 saves. Zach Aston-Reese scored for Pittsburgh, which had its three-game winning streak and six-game point streak halted. Goaltender Matt Murray stopped 29 Columbus shots. 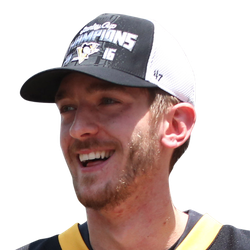 He made two highlight-reel saves, stretching to his right to make stick saves on both, to help keep the Penguins close. The first came against Jenner in the first period, the second against Markus Nutivaara in the second. Jenner, 11 seconds out of the penalty box, gave Columbus a 1-0 lead with the only goal of the first period. Josh Anderson, who picked up his 100th point on an assist, corralled a bouncing puck and fed Jenner, unmarked in the slot, for a swipe past Murray at 2:31. That ended the Blue Jackets' goal drought at 126 minutes, 39 seconds. Atkinson made it 2-0 with a short-handed goal at 2:17 of the second. Pittsburgh's Phil Kessel fell and lost the puck near the blue line, giving Atkinson a short breakaway down the left side of the Penguins' zone. He snapped the puck past Murray's blocker for his 37th goal. It was Pittsburgh's league-high 14th short-handed goal allowed. Aston-Reese pulled the Penguins to within 2-1 at 6:39 of the second. Evgeni Malkin, backchecking along the left wall, got the puck and cut toward the net, then set up Aston-Reese, whose shot from the slot eluded Bobrovsky's glove. Bjorkstrand scored with 3:01 left in regulation, deflecting a pass from Ryan Dzingel past Murray to make it 3-1. Atkinson added an empty-netter with 1:49 left.